Some people just don’t like the feel of the iPad keyboard. It is a keyboard, more or less, it’s a representation of a keyboard in reality. Facing facts, some of us old school computer guys like the feel of a keyboard, we’re used to it. Logitech gives us a couple of nice options. The first we met in Berlin at the IFA. 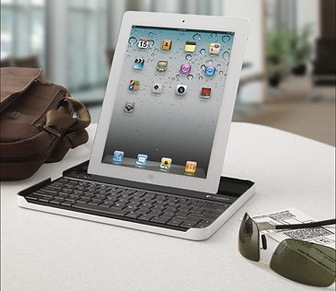 Designed for the iPad 2 owners of the world, the Logitech Fold-Up Keyboard is Bluetooth powered and sure to draw drop with its cool design. 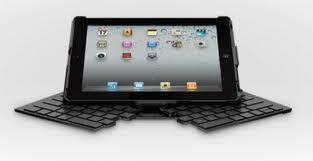 The keyboard attaches to the bottom of the iPad and goes where your iPad goes. Using the keyboard is a quick transformation, two sides of the keyboard rotate out and lock into place to form a full-sized keyboard doing so automatically powers it up for use with the iPad 2. Then it turns off automatically when unfolded back into case mode. Recharging is pretty simple via USB connection. A nice added feature, if you own the iPad 2 Smart Cover you can still use it, both can be used to protect each side of the iPad 2. 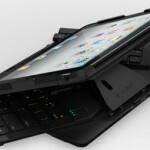 Also a stand, when in use the keyboard leaves your iPad 2 in a desk top position, check out the pic below. 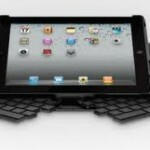 The Logitech Fold-Up Keyboard is a one of many nice iPad 2 accessories to pick up, it should set you back about $129.99. Also check out the thumbnails as well and to see how the transforms, even better is the video below. 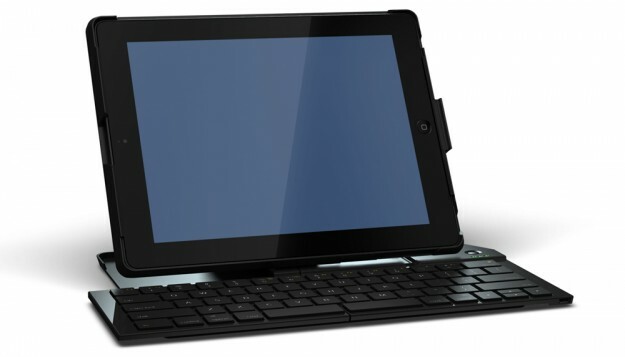 An alternative to Logitech’s Fold-Up Keyboard is the Logitech Keyboard Case for the iPad2 which is identical with Zagg’s Keyboard Case. With this keyboard you get the hardware without the transforming. A solid keyboard that also acts as a stand, and protects the glass when not in use. A precision-cut, aircraft-grade aluminum construction with an integrated wireless Bluetooth connection. These retail at a little over $100, refurbished models are currently available at Amazon for $62.99. For you gamers Logitech also announced the release of a thumb-stick style joystick for the iPad or iPad 2 specifically for use in games that require an on-screen joystick. We have all three of these products on video below so be sure to check out the video to take a closer look. The clear plastic joystick attaches to the corner of the iPad with two small suction cups and uses a coiled spring to return the joystick to the center position. The technology is simple and effective, its no different than a joystick in an arcade A small carrying case is included. A few titles that work ideally: Madden NFL 11, Call of Duty: World at War: Zombies, Assassin’s Creed: Altair’s Chronicles, N.O.V.A. 2 Near Orbit Vanguard Alliance,Resident Evil 4, Ultimate Spider-man: Total Mayhem, Geometry Wars: Touch and Real Racing 2 HD. 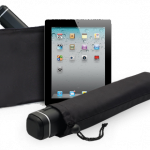 All three accessories are great additions to your iPad 2. 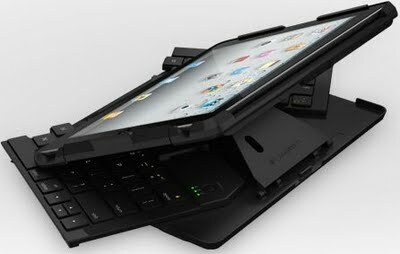 The Logitech Fold-Up Keyboard, Keyboard case by ZAGG, and the Joystick are sure to make using your iPad that much more comfortable. 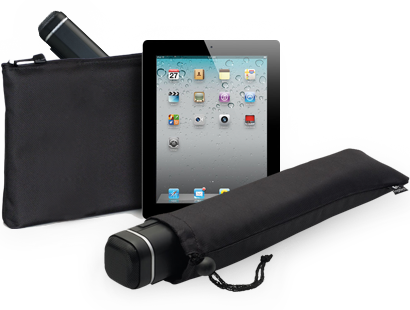 Be sure to bookmark this page for the latest iPad 2 Accessories. Also check out the Logitech Tablet Speaker.